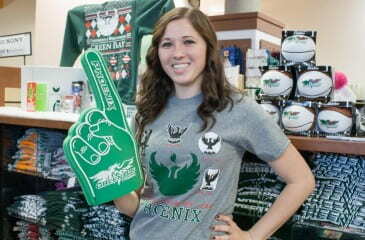 Stop in at The Phoenix Bookstore to stock up on the latest Phoenix gear. Remember to use your alumni discount to receive 10% off apparel and gift items and use your Alumni ID Card to earn Phlash Rewards Points. 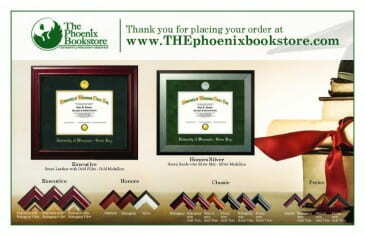 If you don’t want to leave the house and still want to shop, visit www.THEphoenixbookstore.com and enter the promo code ALUMNI. Summer hours are Monday through Friday 8 a.m. – 4:30 p.m. This entry was posted in News and tagged alumni discounts, The Phoenix Bookstore on August 8, 2017 by moodyk. Check out www.THEphoenixbookstore.com for your Phoenix Friday deals. Discounts are available in the store or use promo code “PHOENIXFRIDAY” online. Yard Sale-April 18-19 from 8 a.m. – 5 p.m. at The Phoenix Bookstore. Take an EXTRA 25% off all clearance items. This entry was posted in News, Photos and tagged alumni, apparel, The Phoenix Bookstore on April 17, 2017 by moodyk. The Phoenix Bookstore between April 12 and April 14 and receive 20% off. Plus another 10% goes back to the Alumni Association for scholarships. The frame will ship directly to you and you are responsible for shipping costs. This entry was posted in News and tagged diploma frames, The Phoenix Bookstore on April 6, 2016 by moodyk. It’s been seven years since The Phoenix Bookstore opened the doors to the updated store location in the University Union. Stop by and check it out! The store is open Monday through Thursday 8 a.m. – 6 p.m., Friday 8 a.m. – 4:30 p.m. and Saturday 10 a.m. – 2 p.m. 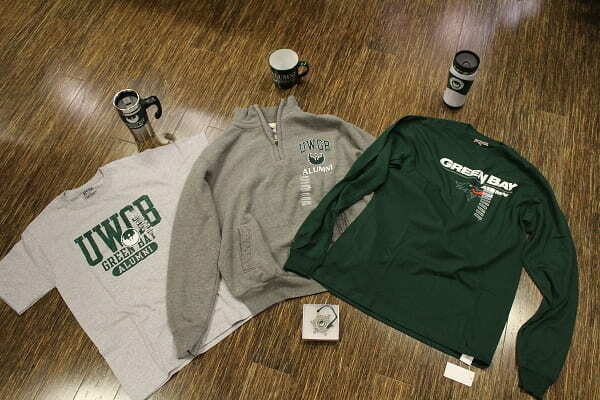 Present your Alumni ID Card at the register and save 10% on apparel and gift items. NEW! Alumni may now earn Phlash Rewards Points with your alumni card! $1 spent at the store or online = 1 Phlash Point; 500 Points = $10 Phoenix Bookstore gift card. Use promo code “Alumni” online at www.THEphoenixbookstore to receive your 10% discount. This entry was posted in News and tagged The Phoenix Bookstore on March 25, 2015 by moodyk. 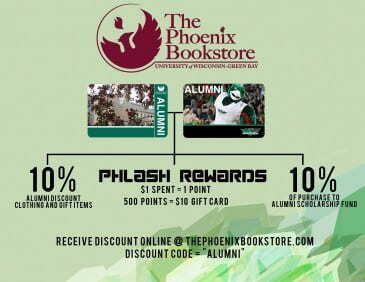 Remember to take advantage of the alumni discount when shopping at The Phoenix Bookstore. Mention you are an alum at the checkout or use promo code “alumni” online at www.THEphoenixbookstore.com and receive 10% off your entire apparel and gift purchase. For your summer shopping convenience, The Phoenix Bookstore is open 8 am – 4:30 pm, Monday through Friday. Take advantage of the 30 minute parking located in the University Union parking lot for easy store access. This entry was posted in News and tagged The Phoenix Bookstore on June 25, 2014 by moodyk. Shop The Phoenix Bookstore for a great selection of last minute holiday gifts. 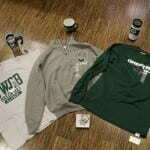 Remember Alumni ALWAYS receive a 10% DISCOUNT on apparel and gift items. Simply mention you are an alum when you check out at the store or add ALUMNI DISCOUNT as the promo code when ordering online at www.THEphoenixbookstore.com. 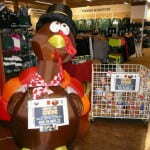 This entry was posted in News and tagged The Phoenix Bookstore on December 13, 2013 by moodyk. Posts tagged "The Phoenix Bookstore"